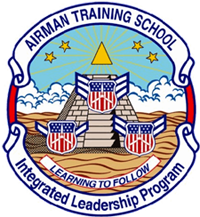 Register for the Next Airman Training School (ATS) HERE! The goal of the Airman Training School (ATS) is to instill fundamental tools amongst developing cadets such as: advanced followership, drill proficiency, and elementary leadership that will aid in facilitating their personal and professional growth. Students will be able to demonstrate proper professionalism, time management and efficiency. Civil Air Patrol is a national organization performing missions for America. Included in the three missions is Cadet Programs. For cadets, it is necessary to broaden their scope within the organization as their career develops. It is important that the cadet encounter qualified, competent leaders and instructors, and that they are allowed to interact with cadets from other units at their own peer group level. The Airman Training School offers an advanced training approach to Phase II cadets that have completed Basic Cadet School by instilling fundamental tools such as followership, drill proficiency and elementary leadership that will aid in facilitating their personal and professional growth. In exchange, the cadet will begin to enhance their foundational building blocks to prepare themselves for future training and positions. One of the most important goals of the school is to provide the students the ability to fully understand what is not only required of them at the school, but the performance expectations in their Civil Air Patrol career as a Cadet Airmen. ATS stresses the importance of customs and courtesies, military discipline and esprit de corps. The school provides an environment in which the cadet practices these concepts in a structured and controlled setting. Specific direction is given from the school staff at all times. ATS is not intended to replace the unit training in drill and ceremonies, but rather to introduce, standardize and refine it. The intent of the drill and ceremonies instruction is to impart an understanding of the techniques necessary in performing drill commands and use of a Guidon. In addition, it intends to create an appreciation for drill and ceremonies as a valuable and worthwhile learning tool, imparting teamwork, and an appreciation of the need for discipline. Lastly, ATS strives to expand the horizons of the cadets in attendance by exposing them to the myriad of activities available to them at the Wing, Region, and National Level. The Integrated Leadership Program is discussed, as well as National Cadet Special Activities available to all cadets.